FIVE YEARS ago Loni Jane made a decision that changed her life. She switched from a paleo diet to a plant-based lifestyle. The 29-year-old said she had a myriad of health problems that a paleo diet, adopted on the advice of a naturopath, was not helping. "I had lots of underlying health issues," she said. "I picked up dengue fever, parasites, was constantly sick, had adrenal fatigue and acne. 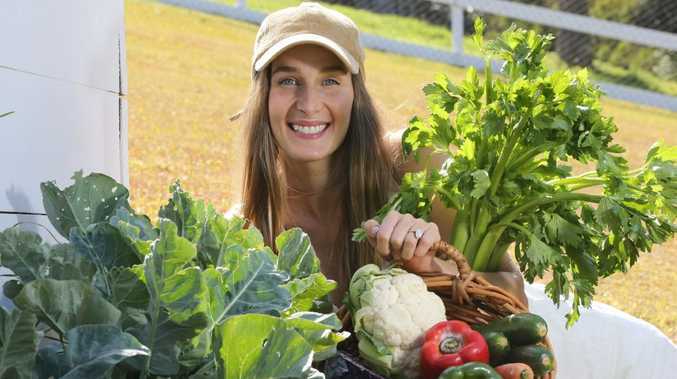 I would pick up any sickness and couldn't get rid of infection, that's why I originally wanted a naturopath as doctors kept giving me medication." Ms Jane said she struggled with alcohol and was addicted to processed foods, often heading to the liquor store for a sixpack of Jack Daniels or sneaking in McDonald's. She said when the paleo diet failed to make her feel better, she decided to listen to her body. "Going vegan was hands-down one of the best decisions of my life. I had this new outlook on life to be the best version of myself." 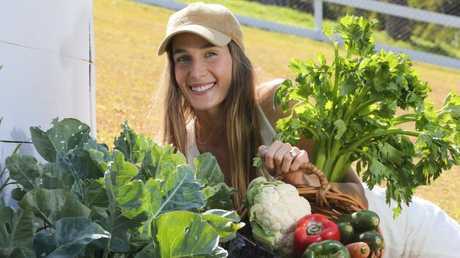 Ms Jane, of Wongawallan, said she was never particularly health conscious in her early 20s. She said her two children, Rowdy, 3 and Polly, 1, were now also vegan. "I believe in it so strongly," Ms Jane said. "It feels natural to be able to give my kids the best start in life. Their decision might sway when they're older ... but that's another path we'll go down in time." Ms Jane said on Sundays she headed to the organic markets at Miami and bought fresh vegetables and fruit for the week, costing about $150 to feed a family of four.